Two kindred spirits with a common passion to create innovative products that bring the designer a strong, creative, competitive edge. Hartmann&Forbes and Samuel & Sons often meet in the minds of designers and on the workroom table, finding their way to windows throughout the world. 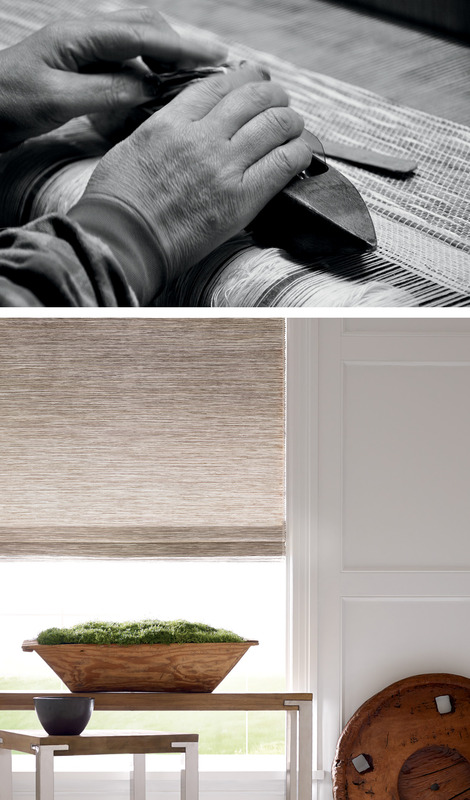 We embarked on a creative collaboration with the intent to inspire – combining our natural textures of handcrafted Woven-to-Size windowcoverings and textiles with Samuel&Sons’ impeccable trims as detailed accents. Bringing together our signature designs and incorporating them in creative ways. As we look forward to our 21st year, we're excited to bring you even more creative ways to sharpen your designer's edge. We’re proud to introduce our inaugural designer collaboration, created hand-in-hand with renowned designer Michael S Smith. This collection combines Michael’s signature blend of historically referenced patterns in bold, simple colors, with the textural detailing from Hartmann&Forbes. Resulting in seven distinct designs of natural window and wallcoverings that exude a well-travelled, comfortable sensibility. View this fresh, globally-inspired collection here. We are also expanding the Hartmann&Forbes product offering. Additions include: 7 new colorways to our Essence Series – offering a shade for every room; 10 new Performance Fabrics – providing heat and glare reduction in new softened textures; and a new collection of Handwoven Border Trims – for detailed accents. View our new arrivals here. The three-piece 2019 Reference Kit includes Product Portfolio, Style Guide and Price List, showcasing our inaugural Designer Collaboration, new Hartmann&Forbes products and countless innovations. Our hope is that these pieces will provide you with fresh inspiration in creating award-winning interiors. Printed Reference Kits will be available in your local showroom in March. To pre-order or to download a digital version, please click here. Be a part of our social community as we showcase these new products by signing up for our inspirational emails here and following us on Instagram @hartmannforbes. Interior Design Magazine’s Best of Year Awards is now open for voting. We have submitted our new Woven-to-Size Grassweave Macrame. 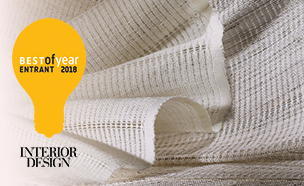 Please show your support by voting in the category for “Window Treatments.” Voting begins October 9th, cast your vote each day through October 20th. Thank you for your continued support. We are excited to announce two new Independent Representatives in Arizona. Both firms are experienced in the windowcovering and wallcovering industry, and are well known for providing outstanding customer service. Diane Coté will be serving Residential and Contract Interior Designers, Architects, Builders and Furniture Stores. Studio 1010, LLC (Leslie M Dixon) will be serving AV integrators, Automation Specialists, Installers, Workrooms and all markets for New Mexico. If you are planning to install in time for the holidays, please check order placement dates below. 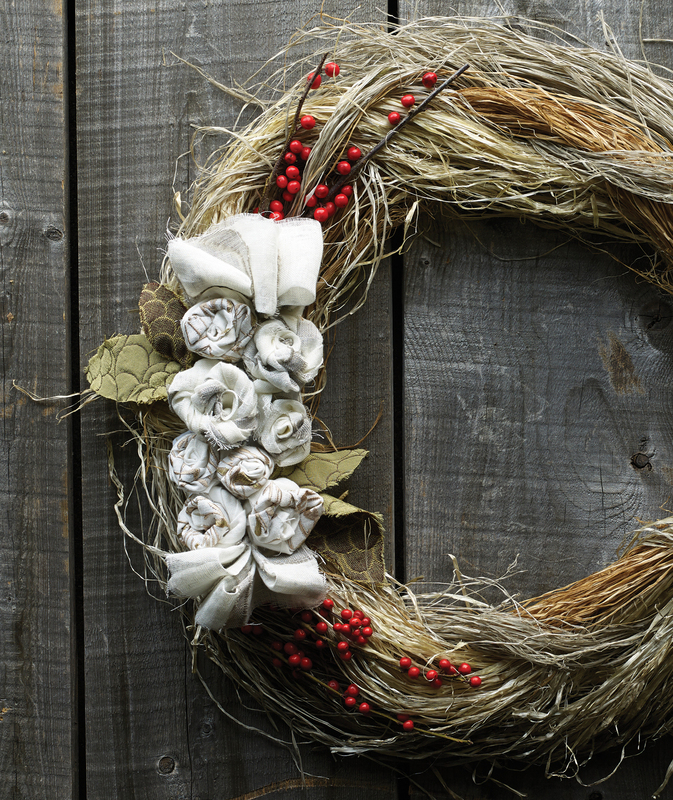 Any orders placed after deadline dates may require pre-approval, and may incur rush charges. Our newly released Sonesse 30 Wirefree motor is quiet and powerful with a built-in, rechargeable battery. Charged motors run approximately 500 cycles or one year's use. To charge, simply plug the charger into a wall outlet overnight. Each motor includes its own charger. Please contact our Customer Relations department at 888.582.8780 to learn more or request an automated shade quote. 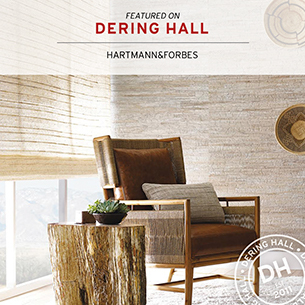 Hartmann&Forbes is now featured on Dering Hall, the most trusted digital publishing content site for the interior design industry. 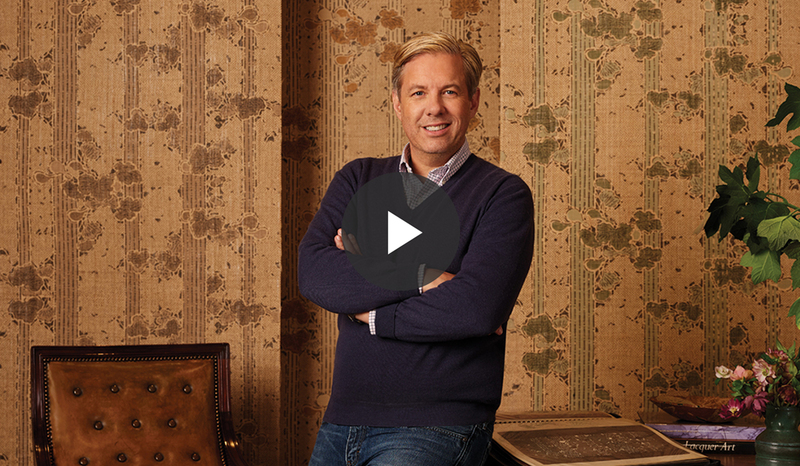 With the industry’s largest collection of natural windowcoverings, handwoven up to 180” wide, and a unique assortment of natural wallcoverings and fabrics, Hartmann&Forbes adds to Dering Hall’s world-class digital content and directories. 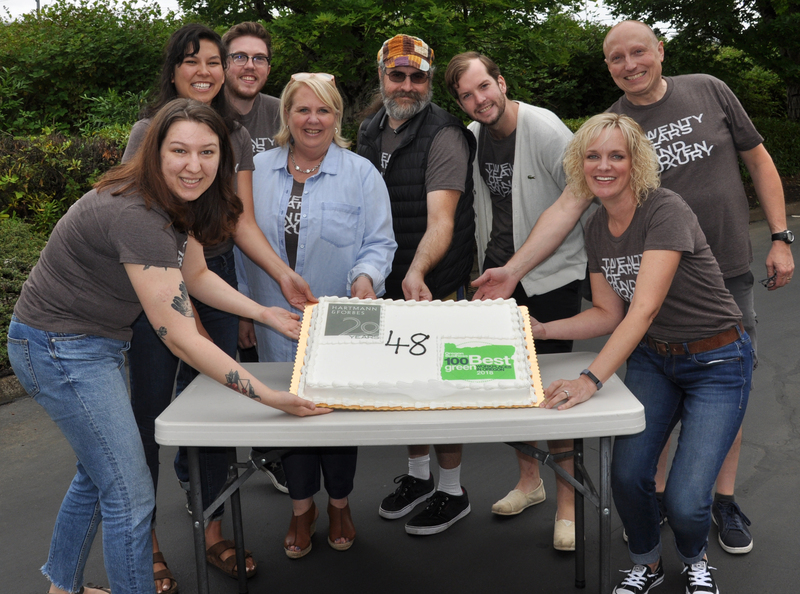 We are proud to announce our seventh consecutive year as one of Oregon Business’ 100 Best Green Workplaces, jumping from #64 to #48 on the list. At Hartmann&Forbes, we are continually seeking ways to minimize our environmental footprint. Our passionate commitment has led to numerous initiatives of composting, recycling, partnering with community organizations such as Cans for Kids, Habitat for Humanity and more. Our progression up the 100 Best Green Workplaces list is a company-wide collaborative effort that is constantly growing. 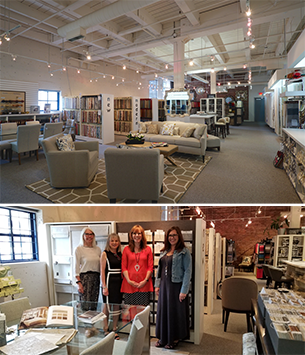 We are excited to announce Tritex Fabrics LTD as our new representative showroom serving Vancouver, BC. Established in 1978, Tritex Fabrics represents quality and perfection through their product and service. We greatly value your business and believe this change will help us to better serve you and your design needs. Feel free to contact Customer Relations with any questions at 503.692.9313 or hfcr@hartmannforbcs.com. 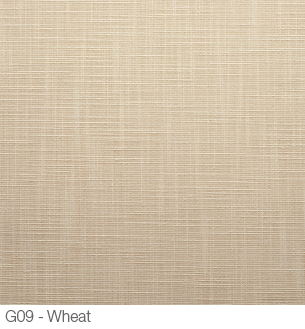 We have discontinued G09 Wheat from our Performance Fabric Collection. Effective immediately, this weave is no longer available. Please remove and recycle this memo from your designer sample kit and or library. 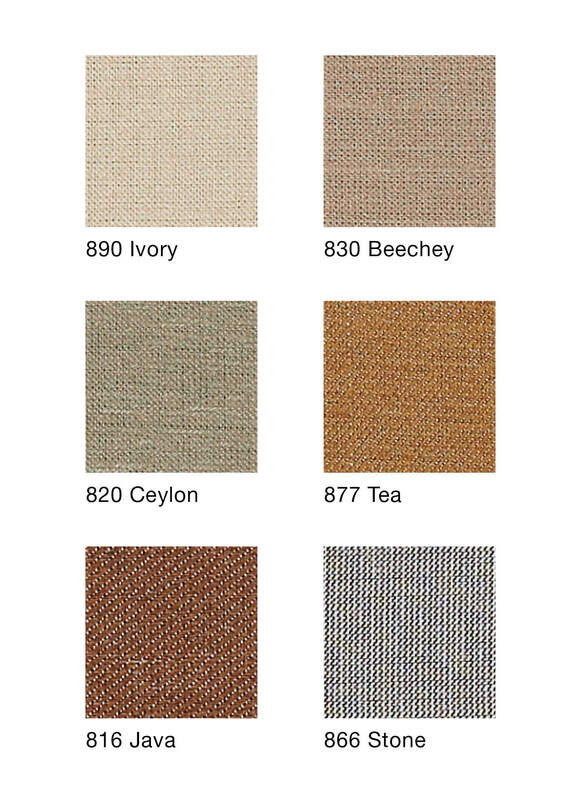 Please consider P63 Birch – 7000 Series or PFBO02 Linen – Blackout Series as alternatives. G03 Snow, G06 Natural, G15 Smoke, and G42 Earth will remain available in the 9000 series. In this last installment of our blog series, Privacy and Sun Control, we will be featuring how Extra Density Weaving helps maintain the character of a natural woven shade while enhancing privacy. Our Woven-to-Size methodology is a true made-to-order weaving and crafting process. Because of this, we are able to offer Extra Density Weaving. Extra Density Weaving is the process of two weft fibers woven together, rather than one, providing roughly 200% density. This increases the shade’s durability and opacity. 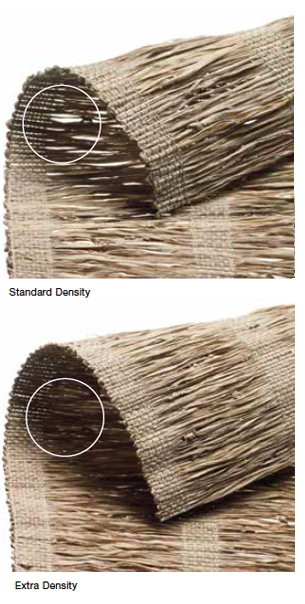 Extra Density Weaving can also be specified at the top of the shade or as a valance, concealing the operating componentry. 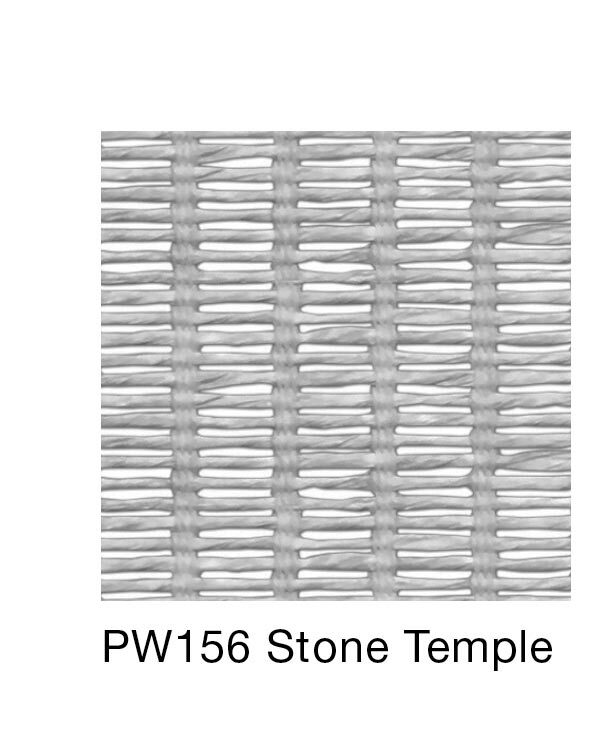 Extra Density Weaving is available in selected weaves from the Woven-to-Size Grassweave collection. 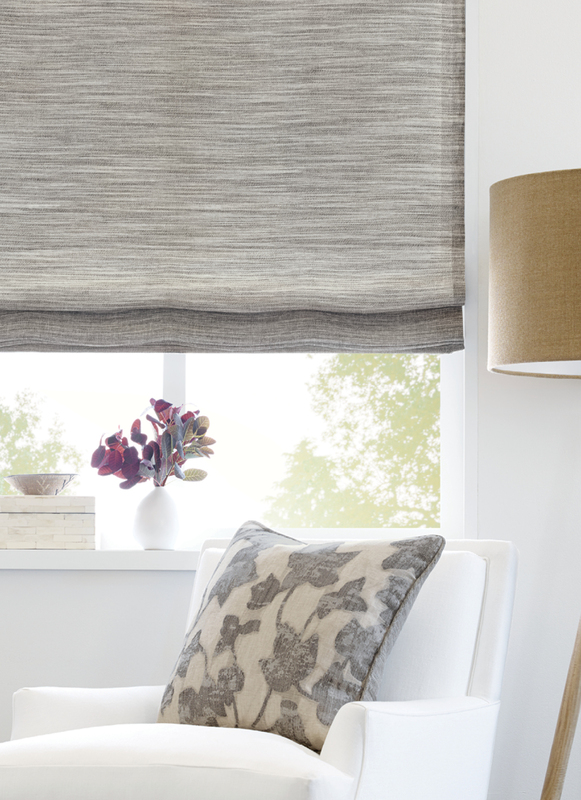 As a continuation of our blog series on privacy and sun control, we are featuring how to maintain the beauty of a natural roman shade with the flexibility of privacy and light control. The Dual-Shade system is designed to provide maximum flexibility with a simple and easy-to-specify concept. 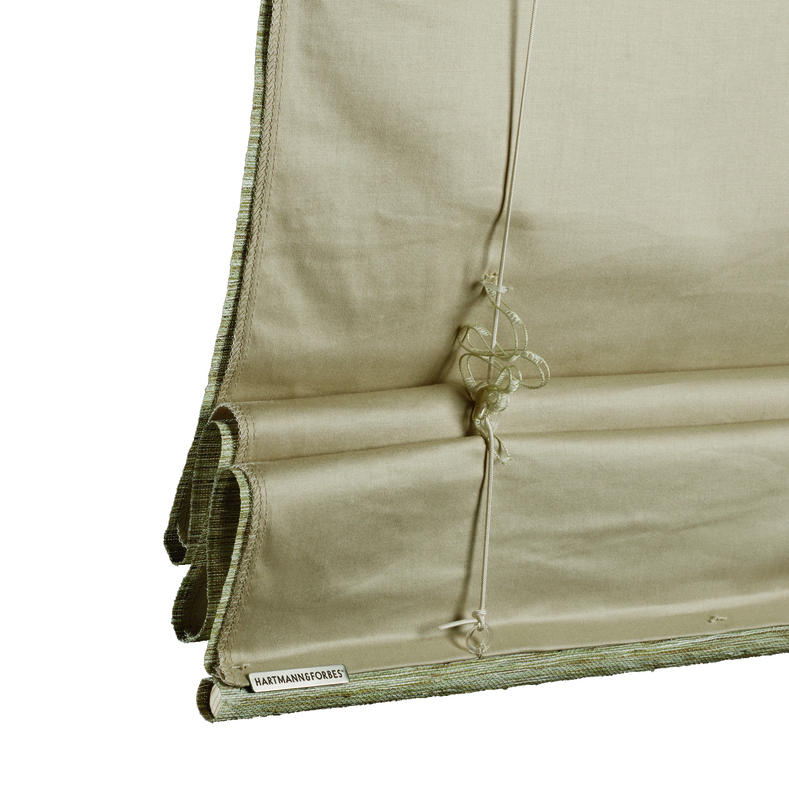 A custom shade (roman or roller) made from liner or performance fabric is mounted directly behind the natural roman shade on a shared headrail. 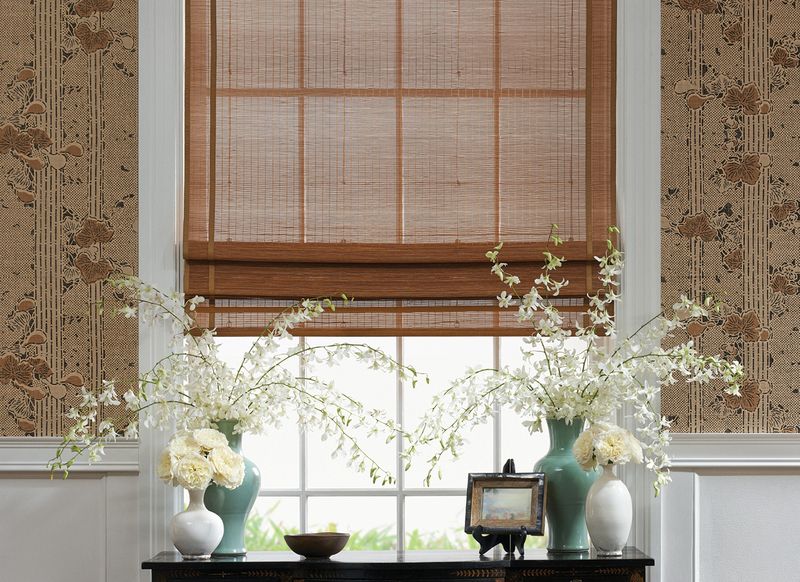 Liner shades are available in varied densities, from sheer to blackout. This system upholds the qualities of the natural shade, candling light into a room, while offering more flexibility than a lined Roman shade. To learn more about privacy upgrades, please contact your local Showroom Representative or Hartmann&Forbes directly at 888.582.8770. 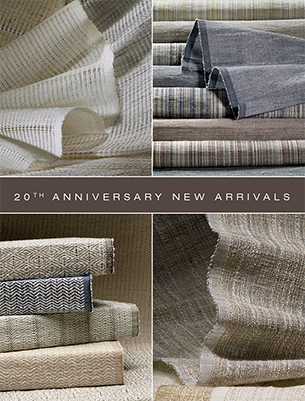 We are pleased to announce our 2018 Anniversary New Arrivals with 17 woven-to-size designs in 44 colorways. 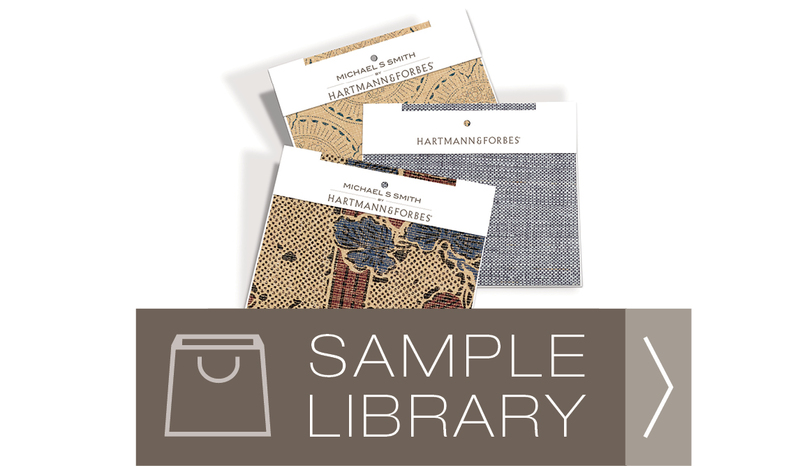 Hartmann&Forbes began with a passion for designing and weaving unique textiles of sustainable fibers. We are proud to have continuously challenged existing standards with our innovative textures and handwoven artistry. As we reflect on our 20 years, we are grateful for the journey. We are a community of farmers, weavers, craftsmen, showroom partners and designers bonded by a common vision to create interior spaces that deliver an experience of beauty and restoration. As we celebrate this milestone, we want to thank you for being a part of our story. We hope that you enjoy the largest addition to our Woven-to-Size collection. We look forward to many more years of collaboration. We are constantly engineering innovative solutions and techniques that improve our shade security. The new tension device is crafted for our manual clutch systems to ensure efficient and proper installation, continuously keeping the cord loops taut. If a shade is not installed correctly, the clutch system will refuse to operate. Its durable construction and child safe qualifications enhances any home. In addition to its safety benefits, the tension device is now available in five different colors, coordinating well with our new bead chain. Collectively, these two are designed to harmoniously integrate with the natural colors of our handwoven weaves. The tension device can also be paired with our cord loop and metal chain. This sleek mechanism can be quickly installed as an inside or outside mount. 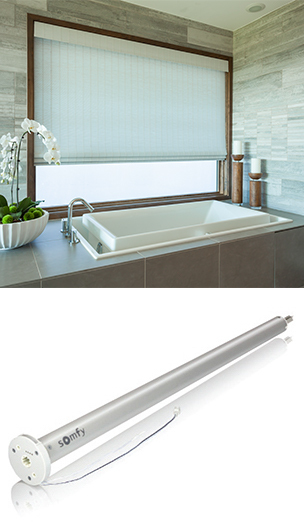 It is a standard for all clutch-operated roller and roman shades. Our new bead chain is standard for all manual clutch-operated roller shades, and is an option for manual clutch-operated roman shades. For more information about these devices, please contact Customer Relations at 888.582.8780 or hfcr@hartmannforbes.com. 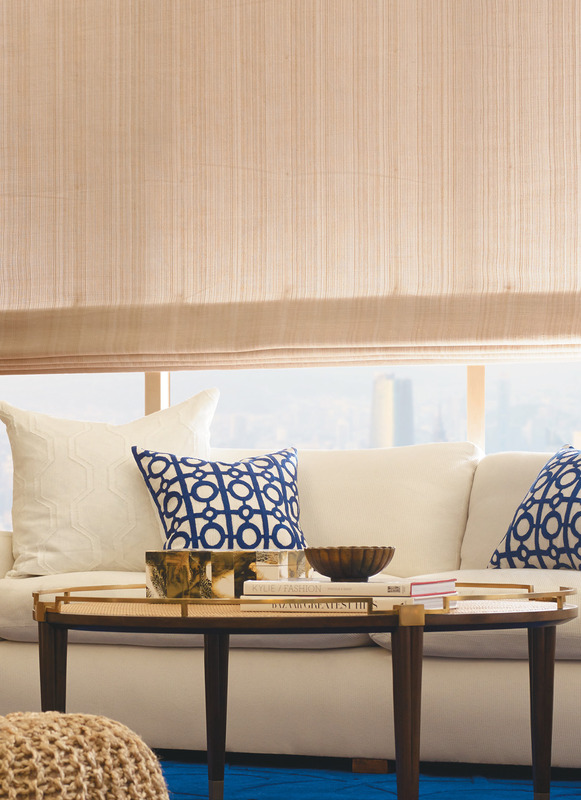 Natural light and how it interacts and filters through our woven textiles is fundamental to the beauty and character of our natural woven shades. Some projects, however, require more privacy, sun control or furnishing protection. Retrofitting a shade with a liner is one of the most common post-sale requests. It’s a process that can be time consuming and costly for the interior designer, so it’s important to consider your privacy options early in the specification process to avoid mistakes. When selecting the proper liner for your shade you should consider the level of privacy and protection from sunlight, the degree of darkness desired, as well as the weight of the weave in relation to the weight of the liner. The SHEER COLLECTION offers a lightweight refined fabric prized for its delicate, light-filtering effect. 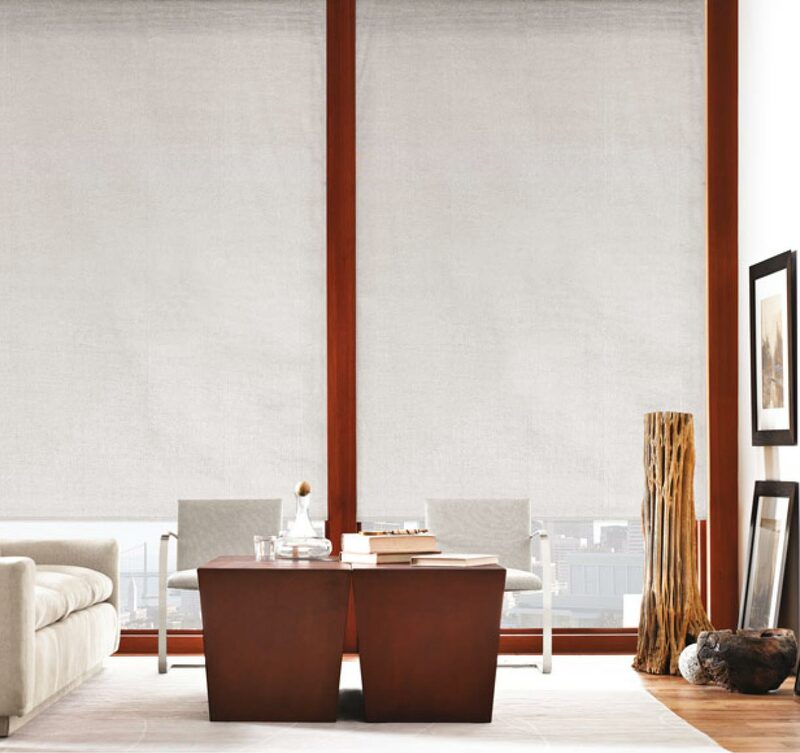 Sheer liner adds body, weight and protection to woven shades without compromising the open-weave light-filtering characteristics. The TRANSLUCENT COLLECTION provides a deeper level of privacy and protection, to both the woven shade and the interior, yet shapes and shadows remain recognizable. The BLACKOUT COLLECTION offers complete privacy and total protection from the sun. If you have questions about these privacy upgrades please feel free to contact your local Showroom Representative or Hartmann&Forbes directly at 888.582.8770. 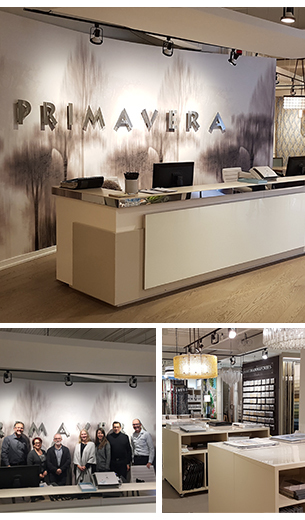 We are excited to announce that we are expanding further internationally with Primavera Interior Furnishings, our new showroom partner. Based in Toronto, Canada, Primavera has served the interior designer community for 46 years. They represent the finest collection of fabrics, furniture and lighting from around the world, and now include our natural windowcoverings, wallcoverings and textiles. 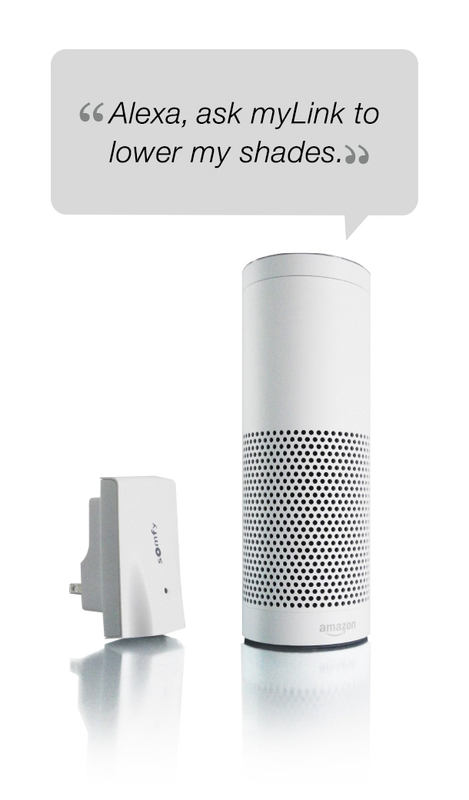 Voice controlled shade operation, the Somfy My Link™ is now Alexa-enabled. Leverage the power of Somfy myLink™ and Amazon Alexa for voice control of your automated Hartmann&Forbes shades. 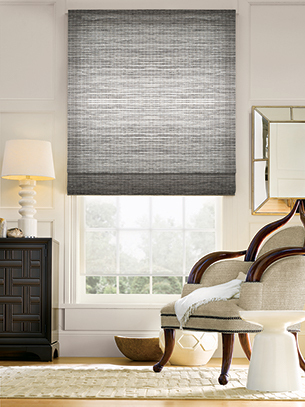 Use simple commands, like "Alexa, ask myLink to lower Bedroom Shades" "Alexa, tell myLink to raise the Kitchen Shades" "Alexa, ask myLink to play Goodnight scene"
To learn more or request a voice controlled shade quote, please contact Customer Relations at 88.582.8780 or hfcr@hartmannforbes.com. The natural world – where beauty and contrast right at the surface. Smooth glossy rocks sculpted by rushing tides and rough-hewn bark pitted by spirited winds – varied textures held in natural harmony. 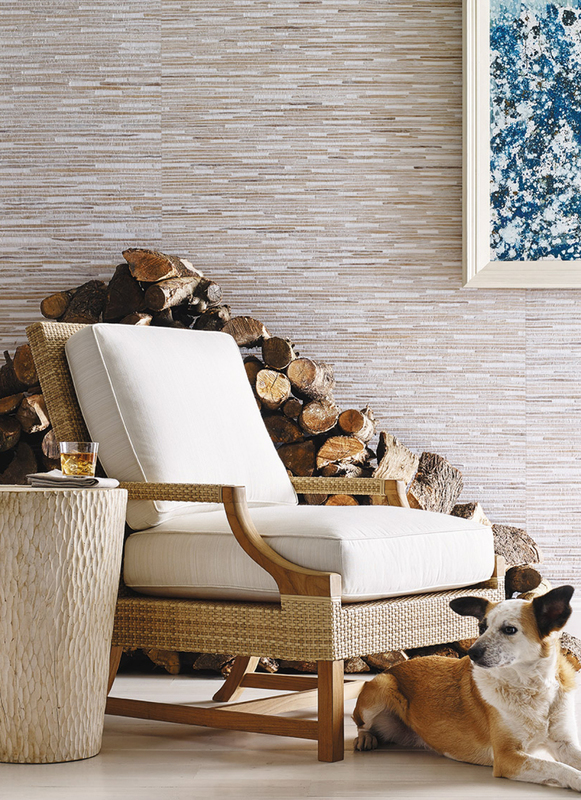 As in nature, texture provides interest and balance to an interior space. 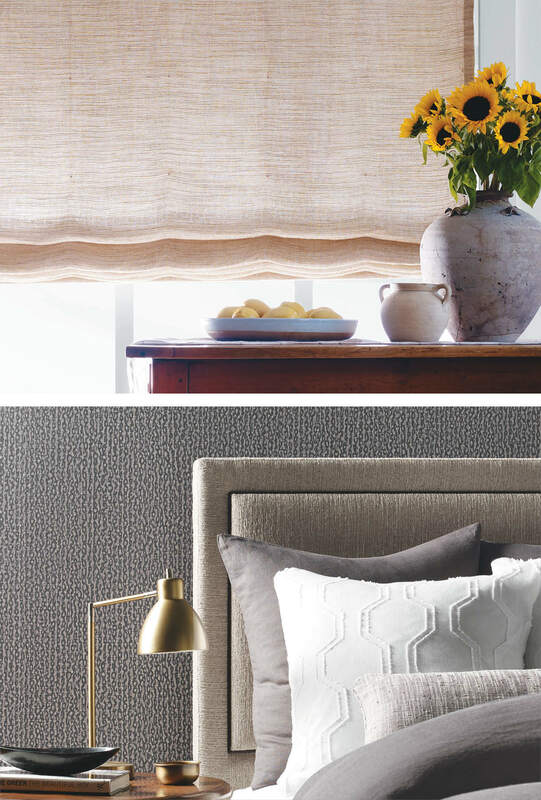 This Fall we are adding sixteen new beautiful texture-rich weaves to our signature Woven-to-Size collections, eleven Grassweave and five Papyrusweave.® These new Woven-to-Size windowcovering designs include delicate braids, inlaid fibers and patterned weaves; organic elements that gently add visual depth, attracting the eye and setting a mood of restful sanctuary. 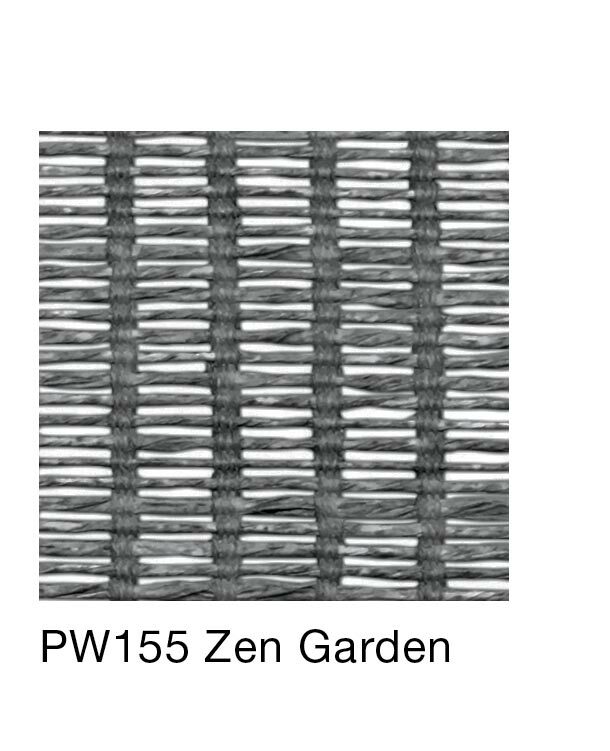 Due to the rigid nature of PW155 Zen Garden and PW156 Stone Temple from the Zen Series, we no longer recommend these weaves as a roman shade. However, they continue to make up beautifully as roller style shades. Other colorways in the series are still recommended for either a roman or roller style shade: PW50 Snow Lantern, PW51 Moon Bridge, PW52 Stepping Stone and PW53 Koi Pond. Please direct any questions to Customer Relations at 888.582.8780. We have discontinued the Avenue series from our Wallcovering category, this is inclusive of WL390 Lexington, WL391 Fifth and WL392 Madison. Effective immediately, these wallcoverings are no longer available. Please remove and recycle these memos from your designer sample kit and or library. 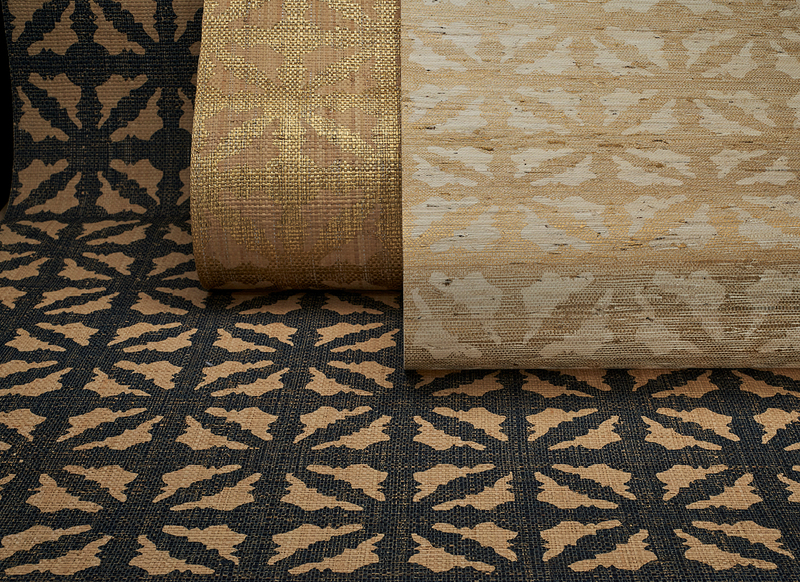 We are excited to announce that our Woven-to-Size Papyrusweave Collection can now be handwoven seamlessly up to 150" wide. This new capability provides you with more options for accommodating large, modern window expanses or for long natural draperies. For ease of reference, please make a note of this change in your printed specifications guide and in your sample library. Please feel free to contact your local Showroom Representative or contact us directly at 888.582.8780 if you have any questions or need assistance. Our curiosity challenged us to use new technologies for our Spring Collection. Utilizing state-of-the-art looms and the latest printing innovations we are pleased to present seventeen new designs – five exquisite Masters of Linen™ fabrics and three exciting wallcovering series. 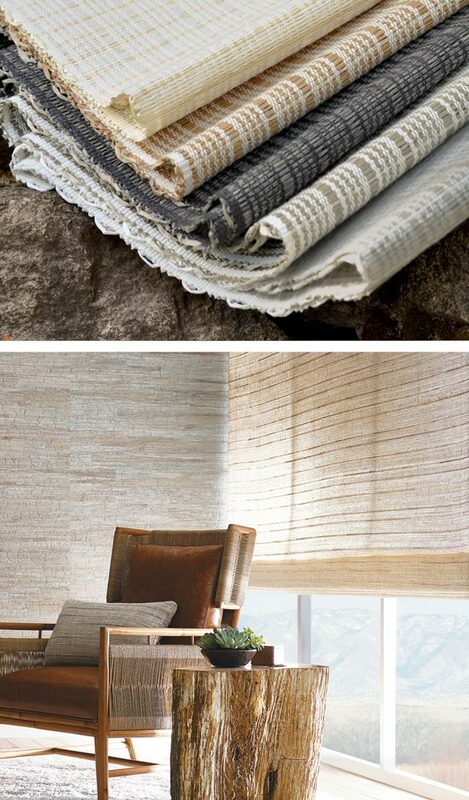 Each design embodies our ethos of creating textural sanctuary environments using natural fibers. When specifying a refined Tailored-to-Size weave with an edge binding upgrade, we recommend using the soft and pliable Bamboo edge binding rather than using the more rigid Chiffon or Twill edge binding options. This choice will offer a smaller and more relaxed folding stack, making operating the shade easier. 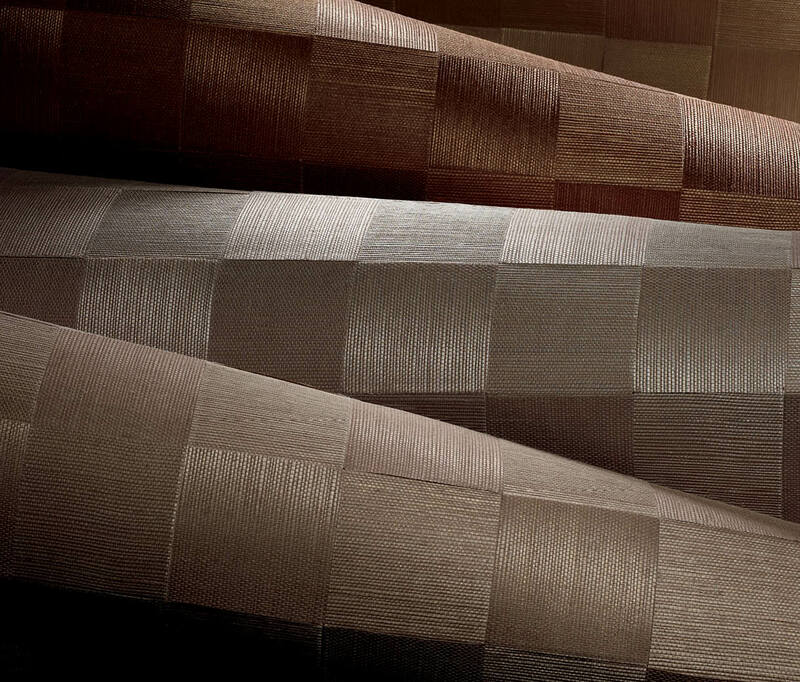 Made from the pulp of bamboo grass, the texture of our bamboo edge binding blends perfectly with most weave designs. Available in a variety of colors, 5/8," 1," and 2." Winter’s shimmering reflections served as the inspiration for our new designs – the Rainfall series, including four natural woven-to-size windowcoverings and the Cathedral series, offering six handcrafted natural wallcoverings. Influenced by the textures of the North Coast and its ever-changing color palette, we’ve added 11 new products—two new handcrafted Natural Wallcoverings and nine new colorways for our Woven-to-Size Windowcovering Collections. It is our hope that these recent additions help you explore new levels of spatial expression. If you’re planning to install in time for the holidays, please check order placement dates below. 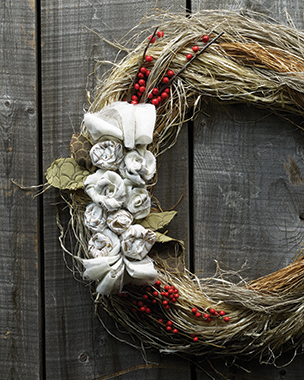 Any orders placed after deadline dates will require pre-approval, and will incur a 25% Rush Charge.